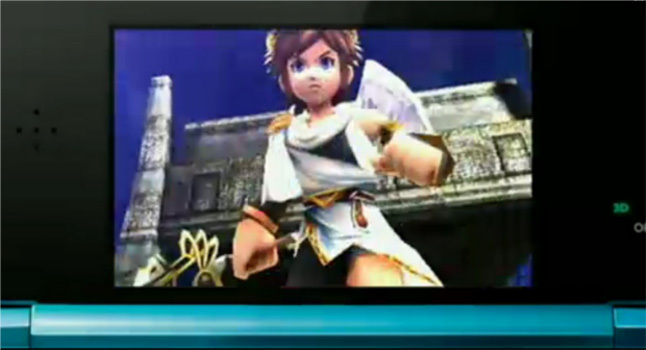 During Nintendo's Direct 2011 showcase, they showed off some more of Kid Icarus Uprising, a game that I had managed to forget about completely. During the game's quick spotlight, we were given some new info regarding its multiplayer components: 3-on-3 competitive, and battle royal. Both will be playable over local and internet connects and look really fun. They've also cemented the game's Spring Japanese release date of March 22. I'd like to think we'll be seeing it here in the West shortly after, but there's no word on that. In the meantime, enjoy a few shots of the trailer while we wait for the video to crop up.